TBR [to be read] is a semi-regular, invitation-only interview series with authors of newly released/forthcoming, interesting books who will tell us about their new work as well as offer tips on writing, stories about the publishing biz, and from time to time, a recipe! Radiation King takes us to the beginning and the possible futures of the atomic world we created at the start of the twentieth century. 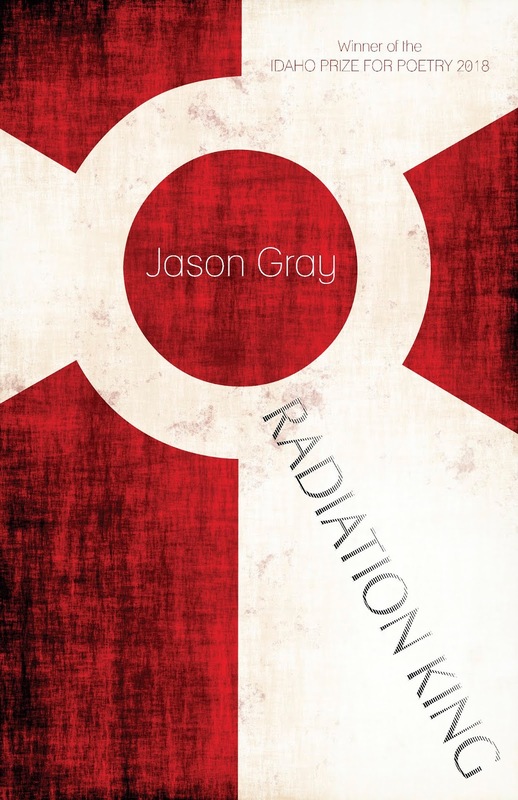 In a time when the Cold War has heated back up, these poems engage a past filled with Civil Defense and radioactive quack cures and a future that could bring a radioactive wasteland or limitless energy. The poems explore the world from the smallest atom of hydrogen to the giant Pillars of Creation in the Eagle Nebula and find that the only thing that will save us is love for one another. Which poem/s did you most enjoy writing? Why? And, which poem/s gave you the most trouble, and why? The “Atoms” poems—I’d say I enjoyed those the most. I wrote them in in February 2014, one a day, as a part of the Tupelo Press 30/30 Project. I had not written much in the two years before, so the group as a whole brought me out of a slump, but writing each one, looking at the properties of individual atoms and then trying to shape a tiny poem that both called to those properties but then also went somewhere else—yes that was fun. The “Color Is an Event” sequence was perhaps the hardest—it certainly took the longest to complete. I had the idea maybe a decade ago, and started working. Some came easy, but others took some hammering. I wanted them all to have different shapes, forms, etc. I tried to work into each poem where the pigments came from—I was working from a wonderful book, Color, by Victoria Finlay—but in some cases that was jettisoned as a quasi-narrative began to form, about a husband and wife and their children. The high is that it is being published; there was a lot of rejection before that, and a long period between this book and my first book. I wondered if I’d ever publish another. My first book came and went with little attention; I didn’t write much after it, but then I began to write the poems for this book and another manuscript concurrently (All Hail Our Lord and Savior, Grizzly Bear is the other, as yet unpublished ms.). It was difficult to watch my cohort of poets publish their second and third and maybe even fourth books in the time it took for my second to get picked up. Of course, many others aren’t even as lucky as I have been. I am very excited to share the book with the world now that it’s published. I’ve been dreaming up and working on companion pieces to go along with the book for a couple years, including two short films I made (viewable here: http://www.radiation-king.com). I feel like I made a little world, one I’ve been living in a long time. Write. Whatever you like, however you like, write. My favorite writing advice is “write until something surprises you.” What surprised you in the writing of this book? I was surprised by what made the cut. I began several poems about various concepts in nuclear/quantum physics, things that seemed ready-made for poems, but many of them had to be abandoned. I’m fascinated by quantum entanglement, for instance, but my attempts to write about it were not good enough. How did you find the title of your book? The title Radiation King has a couple of roots: this is the name of the brand of TV Homer Simpson watches when he is growing up (seen in Season 6, Episode 10, “Grandpa vs. Sexual Inadequacy”). It was also used as a TV brand in the video game Fallout 3—whether or not the creators of the game knew of its previous use I don’t know. Neither of those things or TVs in general are referenced in the book—the phrase just took on a new life for me as I was writing the poems. I originally conceived of a narrative poem about the Radiation King, who was this imaginary figure in my head, a mythical figure that people in a distant future would say caused the nuclear war that had devastated the planet. Part-tyrannical leader, part-mad scientist, I imagined a future us telling stories about this person, conflating several factors into one person who could be blamed for the situation we found ourselves in. And though, in the end, no poem ever was written about the figure, I was always taken with the idea of writing poems from the future—warnings to the present about potential disasters. There is also the Atomic Cocktail. I’m sorry to say that I have yet to try it.